Here you are ! Following a lengthy absence, we are back with a new website, new lineup, new songs and new tour ! Yes ! The Velvet Roses are back !!!! 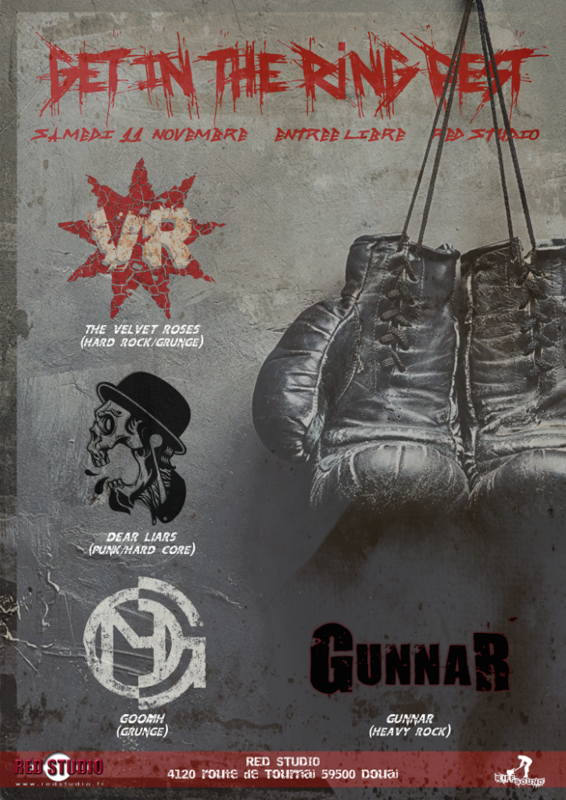 This tour starts on November 11, in Douai (Red Studio) at the “Get In The Ring Fest“, organized by Riff Sound Studio. We will play with Gunnar, Goomh et Dear Liars. Stay tuned ! More dates will be announced soon ! Error: Error validating access token: Session has expired on Saturday, 02-Feb-19 15:11:06 PST. The current time is Tuesday, 23-Apr-19 15:40:46 PDT.